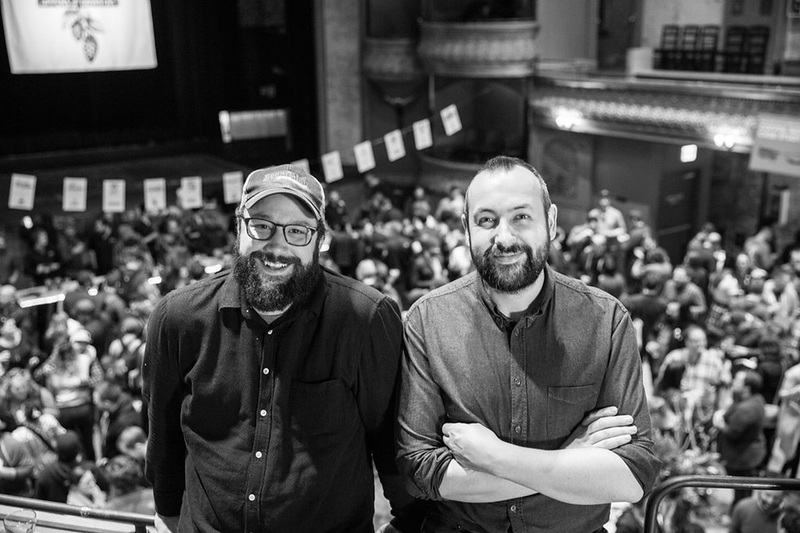 Good Beer Hunting’s Michael Kiser (left) and former Intelligentsia creative director Stephen Morrissey are working to bring brewers and coffee roasters together via Uppers & Downers. One of the most notable trends emerging out of the craft beer and coffee worlds happens to be the space where the two intersect: coffee beers. To date, breweries like Stone Brewing Co. and Goose Island have led the charge nationally, but smaller breweries are also starting to reimagine the category, and if last weekend’s Uppers & Downers event is any indication, the trend is primed to spread even more. Uppers & Downers does something very unique: It’s bringing roasters and brewers to the same table to collaborate and create beers that push both industries forward while learning more about both coffee and beer. We spend time learning as much as we can about water, malt, hops and yeast, so if we’re going to invest time and resources into coffee beer, it only makes sense to understand the ingredient as best as possible, says Solemn Oath brewer Paul Schneider. Some breweries explored the effects that different coffee extraction methods have on flavor while others experimented with cascara (one of our flavors to watch in 2016). Added for it’s light fruity qualities and dry, tannic finish, we spotted cascara in a barrel-aged saison, and two Berliner Weisse-style brews, and even Angry Orchard showed up with a cascara-steeped bittersweet cider aged in bourbon barrels. Kiser says the gathering has sparked a lot of interest from brewers around the country, so expanding the event to new locations is a logical next step. If you live in Atlanta, the crew will host a small pop-up version of the festival at this year’s SCAA Expo in April. 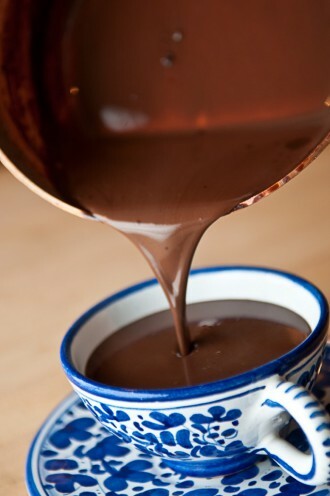 Craving a rich, thick, Chocolat-esque mug of hot chocolate? Look no further then this simple, theobroma-heavy recipe.